Are our local sister company offering Dog Walking and Pet Sitting service in Oakham, Rutland and Stamford. 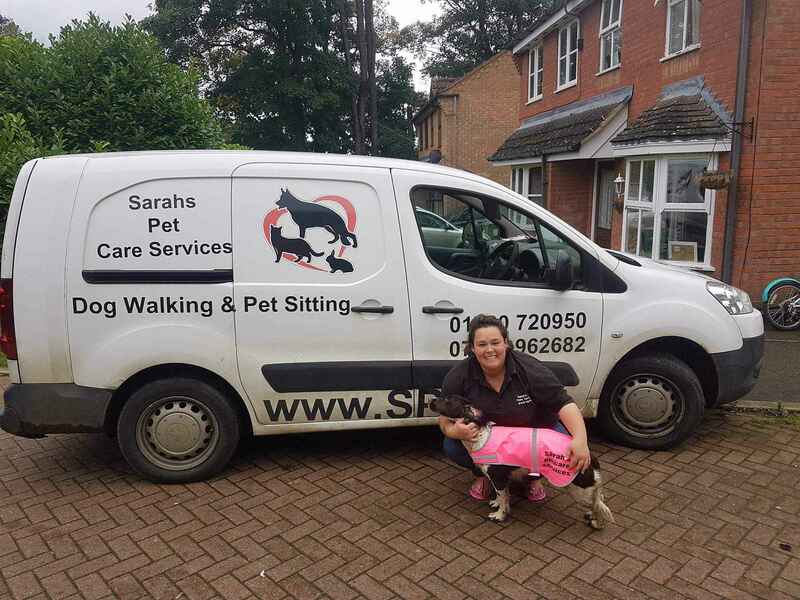 Sarah's Pet Care Services are fully insured and reliable dog walkers and pet sitters. They can provide you with a regular dog walk or just a one off dog walk. All vans have been fitted with professional individual cages for your dogs safety whilst traveling to the walking location. This means all the dogs are not running losse or all the dogs locked in one cage. Pet sitting is also available regularly or as a one off too this includes all pets from cats & dogs to reptiles to chickens.